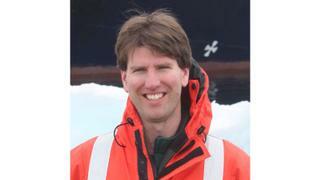 Ben Lyons, chief executive officer at EYOS Expeditions. Enigma XK in the Lemaire Channel, a strait off Antarctica. You have to keep five metres away from pengiuns at all times – unless they approach you. Whale spotting while out on the Zodiac. Stunning towers of ice in Antarctica. 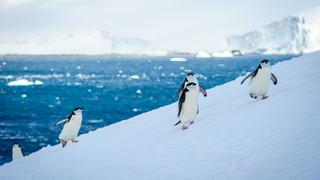 After whisking Dominique Afacan away on a expedition cruising along the coastlines of Antarctica on board Hanse Explorer, which was revealed in Boat International's September adventure special, chief executive officer at EYOS Expeditions Ben Lyons shares his knowledge of the vast icy continent. 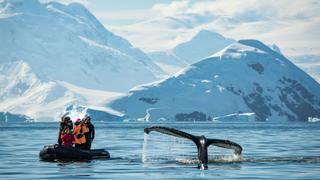 How can you prepare for a superyacht trip to Antarctica? As an individual there’s truthfully not much preparation that you need to do, as long as the logistics and all the groundwork is being done by someone else in terms of the yachts, flights and permits. We advise wearing the same clothes as you would to go skiing. You want to make sure you’ve got a good parka, waterproof trousers and knee-high waterproof boots. I live in New York, so when I get to go to Antarctica in January it’s a bit like leaving the cold grey of the city to go into summer again. All of a sudden I’m back in 24 hours of daylight and warmer temperatures. 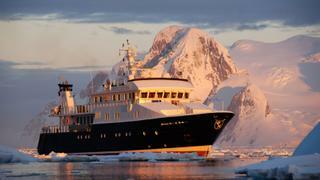 What features does a yacht need to go to Antarctica? There are so many things that you’d like the see in an ideal yacht that’s bound for Antarctica. First of course is an ice-strengthened hull, a reinforced, strong, steel hull that can push around in some ice and is comfortable navigating across the Drake Passage, which can get a little rough. The areas of Antarctica are not always particularly well chartered so if you have a forward-looking sonar that’s constantly scanning the sea floor ahead that’s really helpful. I also think that the Zodiacs are indispensable. Everybody has their expensive tenders that look beautiful in the Mediterranean, but really the nimble Zodiac is really what you need to get ashore almost everywhere in Antarctica. Those are critical features, but there is a whole myriad of smaller details, everything from heating bridge windows to retractable stabilisers, to efficient boarding systems for Zodiacs so you can get in them even if there’s a bit of a swell. And of course, fuel range. Some of these extended Antarctica trips you want to have a fairly extended fuel range, to make these open passages, to feel comfortable that you can delay in case of weather, and to really explore well beyond the beaten track. It’s really also about crew and manning, Antarctica is very demanding on the bridge officers and the deck team, so we always recommend having a sufficient number of qualified watch officers who are manning the bridge 24 hour a day. 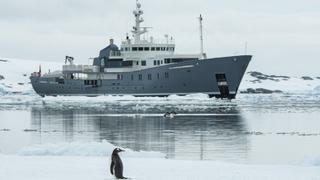 Why has been an increase in yachts going to Antartica? I think it is simply because of changing tastes – owners are realising that they want yachts that are more capable. Staying in the Caribbean and the Mediterranean is limiting, they have this fantastic tool to explore the world and they’re realising that they should take advantage of it in order to push the boundaries of what you can see and where you can go. I think it’s also partly the growing trend of experiential travel overall. Ten years ago, I don’t think any yacht owner thought about going to Antarctica, except for maybe one or two. But now, you see it all the time. All of a sudden, it seems like much more of a possibility than it ever was before. How do you promote ocean conservation in the area? In terms of conservation and keeping the area pristine, I think we’re in a very fortunate position with EYOS because we are taking some of the most influential people in the world to one of the most untouched areas and we’re very keen to ensure that they come away understanding what makes the area special and why it needs to be preserved. We create Antarctic Ambassadors that can talk with enthusiasm and passion about their first hand experiences of seeing what is out there. You don’t necessarily love something that you haven’t seen. So we really feel that with many of the clients that we’ve brought down there, that we have this opportunity to change and influence the discussion. 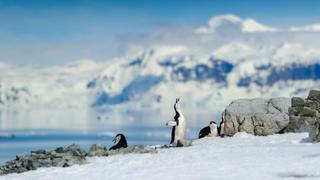 EYOS has been, since its beginning, a member of the International Association of Antarctica Tour Operators (IAATO). 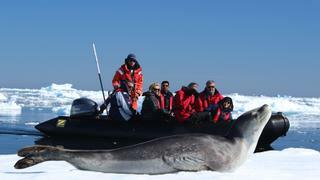 IAATO is dedicated to conserving Antarctica, preserving the wildlife and enforcing standards in terms of where you can go, your behaviour while you’re there and how you can operate equipment. We have to follow all of its guidelines and procedures to ensure that any impact we have is both minimal and transitory. What advice to you have for visitors regarding wildlife interaction? We quite rigidly follow the IAATO guidelines, which dictate behaviour on wildlife interaction, whether that’s marine animals or animals on shore. For instance with penguins, you have to keep five metres away from them at all times. That means you can stop and a penguin can come up to you, but you can’t approach them. It has to be the penguin’s choice to engage. The good thing is that our expedition guides are always there – guests can’t just go ashore on their own, they have to go with one of our guides. If there’s a whale spotted it’s our officer that’s up on the bridge ensuring that that interaction is within the IAATO guidelines. We’re pretty strict on that! What drew you to Antarctica personally? I was working on large commercial ships and basically took a trip to Antarctica because I started to become interested in expedition travel after going to the Galápagos as a tourist. I first went to Antarctica as a tourist and I just immediately fell in love. I love the concept of expedition ships, the camaraderie that forms on board, the knowledge that you get from the expedition staff and the skills that are involved in operating and navigating ships in remote waters that are filled with ice. I quit my job on the big commercial ship and went to work on a ship in Antarctica right away and it was the best decision I’ve ever made. For a lot of people – and for me too – the initial appeal is the penguins, but what really captivates me now is the ice. It comes in this unending variety of shapes, textures, colours and sizes – you can have anything from small icebergs the size of a car to towering icebergs that extend literally for miles. It’s amazing to watch it move, to appreciate its variety – it really is compelling. It’s what brings me back year after year. What would you not leave the yacht without? A good pair of waterproof boots so that you can walk around comfortably in the snow, that’s indispensable. The other thing I would say is simply a camera. 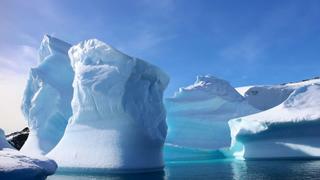 I am amazed by the unpredictability of Antarctica. Of course, I would encourage people to put the camera down to just take in the scene, don’t be looking through the lens the whole time, but you won’t get any better pictures than you will in Antarctica.